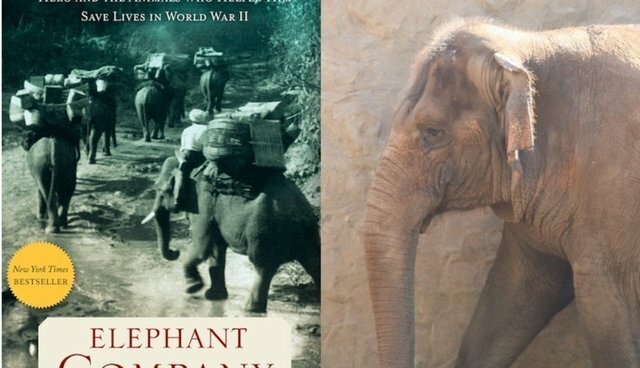 "Elephant Company: The inspiring story of an unlikely hero and the animals who helped him save lives in World War II" by Vicki Constantine Croke, 2014. Although the subtitle of this wonderful biography by acclaimed animal and nature writer Vicki Croke focuses on World War II, the first half of the book takes place prior to the war. Jim "Billy" Williams was a young British veteran of the first World War when he signed up to become a "forest manager" in Burma. His duties included overseeing a group of working elephants and their "uzis," or handlers, as they harvested teak for a British teak company. His fascination with animals and nature proved to be motivation for his tireless work in protecting and understanding the elephants. But he was also a humanitarian, who developed equally strong relationships with the local people. He struggled to not only learn the language but to understand the culture of the Burmese. Fortunately, Williams was a memoirist, leaving an abundant record of his life in Burma along with watercolor paintings and sketches he did of his elephants and the land around him. He learned elephant anatomy from dissection and developed vaccines and advanced treatments for the many injuries and diseases they endured. He set up a school for elephants in order to do away with the violent and cruel practices of "kheddering," and opened a hospital as well, to care for the enormous creatures. Jim Williams, who became known as an Elephant Bill, was deeply in love with his wards. "The more I saw of men," he once wrote, "the better I liked my elephants." His closest bond was with a particularly enormous tusker named Bandoola. The huge bull taught Williams about endurance, perseverance, and friendship in a way no human ever had. His devotion to Bandoola was returned tenfold, as the climax of their work together proved. Just prior to the war, after more than a decade in the jungle, Williams met the human love of his life, Susan. They married and began to build a family, living in the jungle together until the looming war made it too dangerous for Susan and their child to stay. The Japanese invaded Burma in 1942, forcing the evacuation of women and children to India, including Williams' family. Jim was compelled to stay and protect his animals and the people he'd come to think of as family. He joined an elite unit of the military-the British dirty tricks department-enabling him to work behind enemy lines. That position enabled him to create the Elephant Company that would build bridges and provide much needed aid the allies. His first conscripted elephant was, of course, his beloved Bandoola. 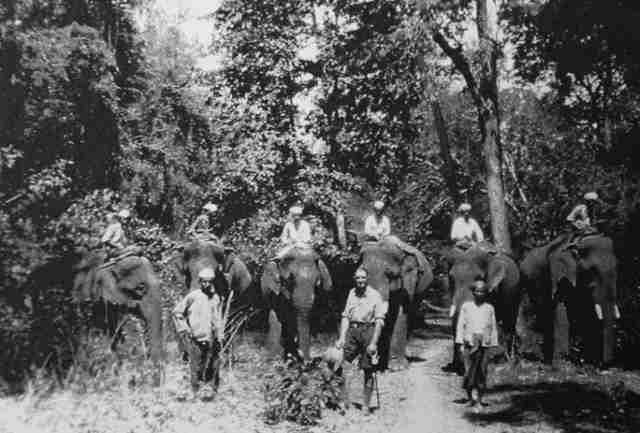 In 1944 a directive from HQ commanded that Williams gather his Elephant Company and lead them out of Burma. The reasons for the exodus were confidential, but in fact the British forces were planning an all-out offensive to retake Burma, and they needed to protect the elephants from the possibility of being captured by the enemy. An exodus on a par with the legendary Hannibal was required. And it was up to Elephant Bill to facilitate it. The tale of Williams' escape from Burma with his herd of elephants and dozens of refugees, including sick children, is simply amazing. We see Jim's selflessness and brilliance, as well as Bandoola's loyalty, trust, and stamina. We feel the fear, the desperation, and the seemingly insurmountable obstacles in their way, and find ourselves breathless at the outcome. Such is the result of great writing. Reading about Elephant Bill and Bandoola as I sat in a comfortable chair with a warm cat on my lap and a couple of happy, well-fed dogs at my feet, was a humbling experience. I'm not sure I would have the stamina and determination to cope with the searing heat of the jungle, the variety and scariness of the insect life, the mold and mud of monsoon season, nor the vastness of the elephants, who could squash a man into an unrecognizable mound in seconds. That sort of passion and dedication is, perhaps, in short supply these days. Jim Williams' wife Susan was as dedicated as he, and preferred the jungle life to their later years of English leisure. Williams' life was an adventure story, with all of the elements for suspense, drama, comedy and horror, and Vicki Croke is the perfect scribe to tell the tale. This man's story will stay with you for a long, long time.